Can’t eat dairy? No need to lament the loss of enjoying ice cream. Try this dairy-free version. We’re talking peanut butter. We’re talking a chocolate shell. We’re talking all natural ingredients. Now, time to stop talking and get on with the eating. 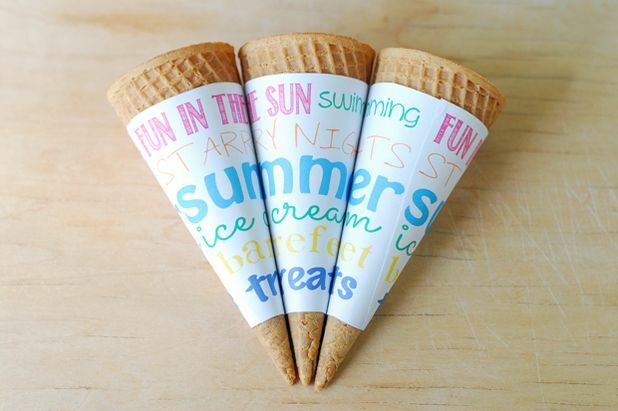 Turn up the charm factor the next time you serve ice cream cones with colorful wrappers. Download two templates – one inspired by summer subway art and one blank (perfect for personalization). Because you know–naked cones are so last summer. 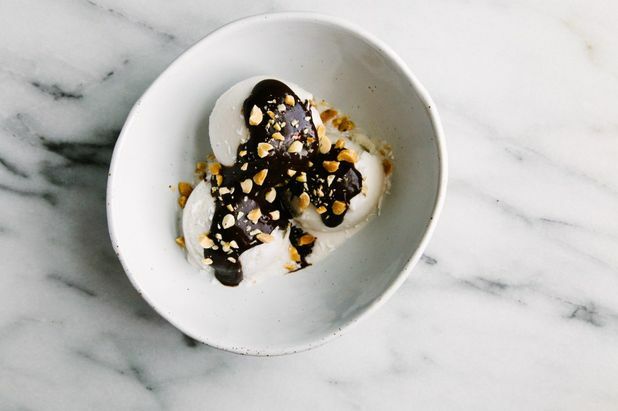 Hot fudge sundaes—what a classic. There’s a reason why this dessert never goes out of style. Whether you’re nine or 90, it’s always a palate pleaser. 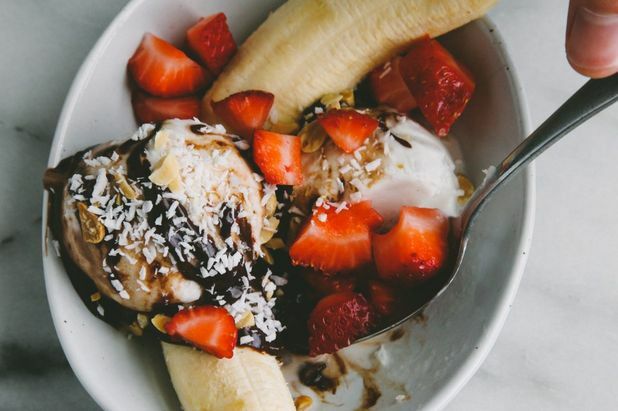 This recipe features fresh vanilla bean, coconut milk and other interesting ingredients that come together to create one delicious dish. Got kids at home? Then you’ve most likely got ice cream lovers at home. 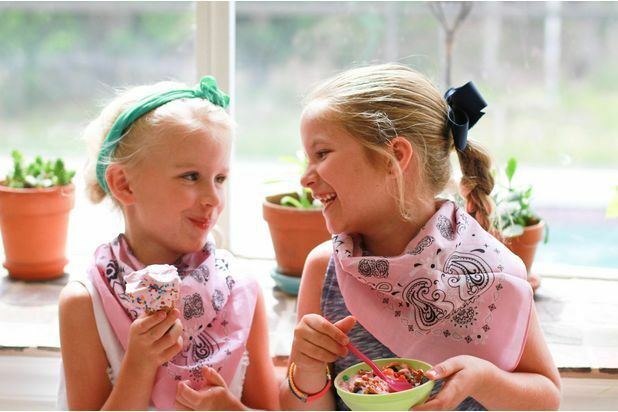 So whether it’s for a birthday party celebration, a way to cool off during warmer weather, or just because it’s Saturday, throwing an ice cream social for kids never disappoints. And no one will blame you if you get in on the action and sample the goods as well. Someone’s got to be the tester, right? Adults—this one’s for you. 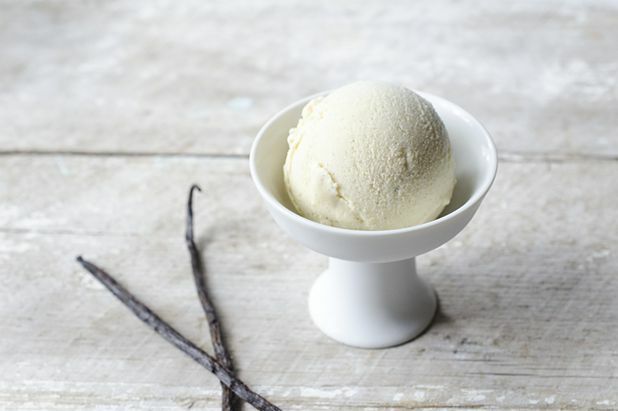 Take an ice cream all-star (vanilla); add a touch of bourbon (OK, more than a touch); and what’d you got? A bowl full of heaven. And this one is no joke: whole milk, heavy cream, sugar and vanilla create pure perfection. If you’re breaking out the toppings, be sure to do it in style. 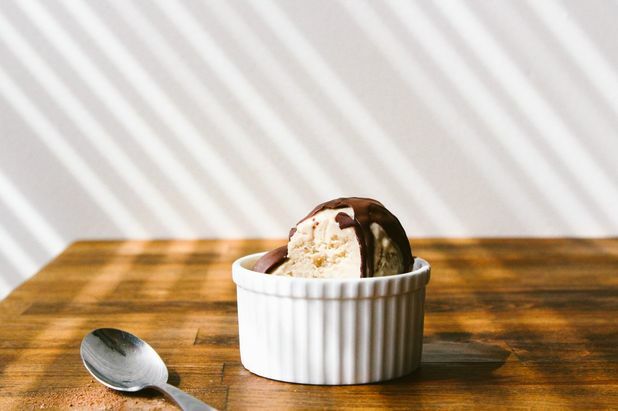 Turn a simple salt caddy into an ice cream-inspired container. 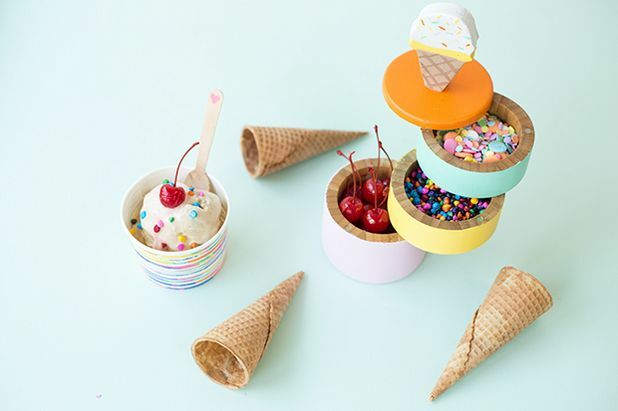 The decorative DIY clay cone is just the cherry on top of this sweet design. This entry was posted in Food & Drink.